The online mattress industry is always changing. There are always new start-ups, new products, and innovations in design, materials, and more. These keep the industry fresh and constantly evolving. While I am always interested in what’s new, I’m most interested by the people who drive these advancements. At the end of the day, it’s smart, genuine, and honest people that bring about the best changes and improvements for sleepers. Earlier this week I had the chance to sit down with Paul Saunders. 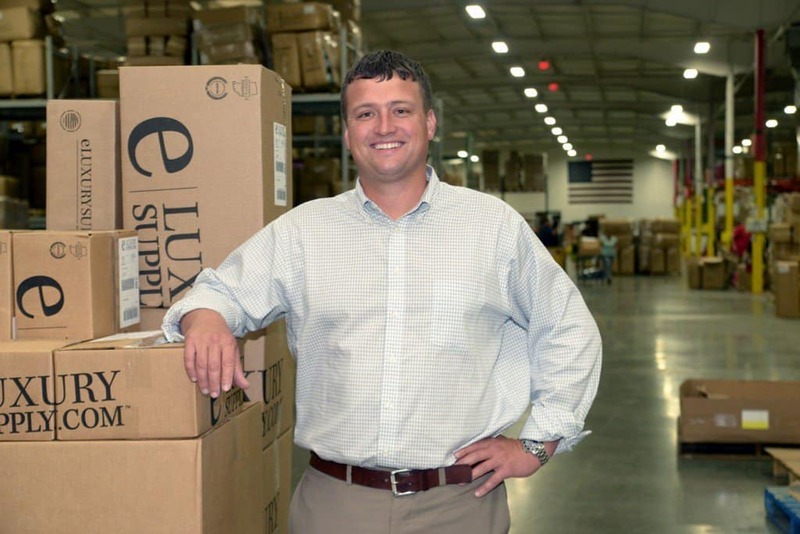 Saunders is the founder of eLuxurySupply and is doing his part to better the sleeping lives of Americans everywhere. Saunders and his company, eLuxurySupply, strive to create amazing sleep products at an affordable price. 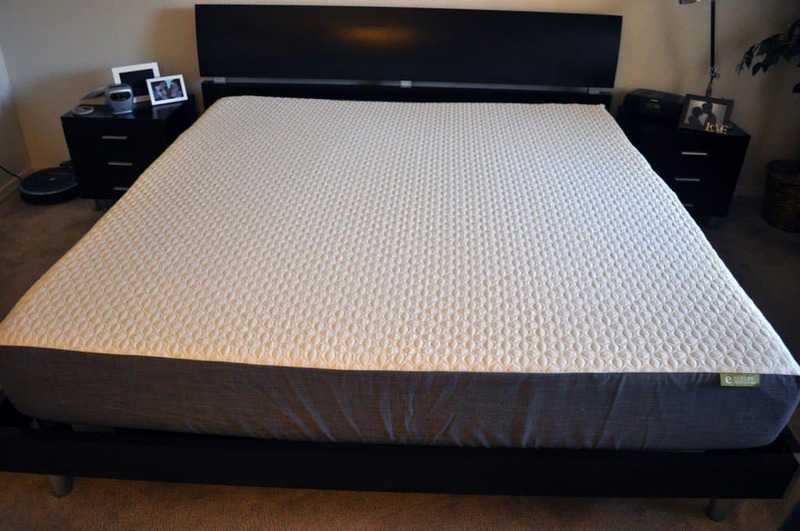 Continue reading below for my full interview with Paul Saunders and make sure to check out my complete eLuxurySupply mattress review. 1.Thanks for taking the time to sit down with me today! To kick things off, could you tell me a little bit about your background? My pleasure. Paul Saunders here, fairly average American mid-30’s guy. I am married with twin 5 year old daughters and a 3 year old boy. I was born and raised in southern Indiana. Not exactly Silicon Valley. After I graduated from the Naval Academy in Annapolis, MD in 2001 I served the next 7 years as an Officer in the Marine Corps. After the military I moved home and went to work for a local fortune 500 manufacturing company. In the evenings and on the weekends I started building what was then ExceptionalSheets.com. In April of 2012, I left corporate America to pursue the e-commerce business full-time and attain an entrepreneurial based MBA at Vanderbilt in Nashville. In early 2013 I hired my first employee Kyle who is a rock star. In early 2014 we acquired our largest supplier which got us into the manufacturing business. This fall we were announced as the 15th fastest growing company in the United States by INC magazine. We currently have over 100,000 sqft of office, warehouse, and manufacturing space with 80 employees and just opened an office in England to support our global expansion into Europe. 2. I understand you’re a veteran. Thank you for your service! What did your career in the armed services include? Were you deployed at any time? I graduated from the Academy in May of 2001 with zero comprehension of the events of that would occur the coming September. My life would obviously never be the same. The majority of my time as an officer in the Marine Corps was spent in the aviation supply and logistics fields. One interesting deployment was to a small country in the Horn of Africa by the name of Djibouti in 2003. The region was notoriously unstable as indicated by the battle of Mogadishu popularized by the movie “Black Hawk Down”. We had an international coalition there to help support and develop the area with humanitarian aid while neutralizing violent extremists. 3. I imagine those experiences must have had an amazing impact on your life, personality, and business. What aspects of serving in the armed forces do you try to bring to your company? I am very grateful for, and humbled by, my experience in the military. The Marines and the other military personnel I served with were some of the best in the history of militarization. I think the most significant impact for me was the exposure to so many global people and cultures. This lead to a perspective for me that we constantly apply to our business at eLuxurySupply. No matter how difficult the days sometimes are, we have it pretty darn good here and at the end of the day we all get to go home. How fortunate we are, as individuals and a company can not be over exaggerated. It has been said that the in 1806, Webster’s 1st dictionary defined successful as “being generous, prosperous, healthy, and kind.” In 2012 the definition of success had evolved to “the attainment of wealth, fame, and rank.” eLuxurySupply.com prides ourselves on aggressively pursuing success based on the 1806 definition. I accredit my upbringing and the military for this perspective. 4. When you first left the armed services and were preparing to start your business, why did you decide on bedding and sleep accessories? In fairness, it is a poor business idea. Selling higher end bedding in a hyper-competitive space to people that may not know you on the internet where they can not feel them by a someone who doesn’t know anything about computers or bedding. However, fate came into in into play one day many moons ago when I spent more than I should have on bedding to impress my deserving wife. When the product arrived we were extremely disappointed by the quality and later by the customer service. I figured I would try to take a fairly poor idea and execute it better than anyone else was willing or able to. All the business books accurately point out how important it is to take care of the customer. What most forget to mention is that it is equally important to treat your community, suppliers, vendors, partners, and everyone else involved the way they deserve to be treated. These relationships are a huge reason why we have been so successful. That’s it. Take care of those that take care of you and good things generally happen. 5. 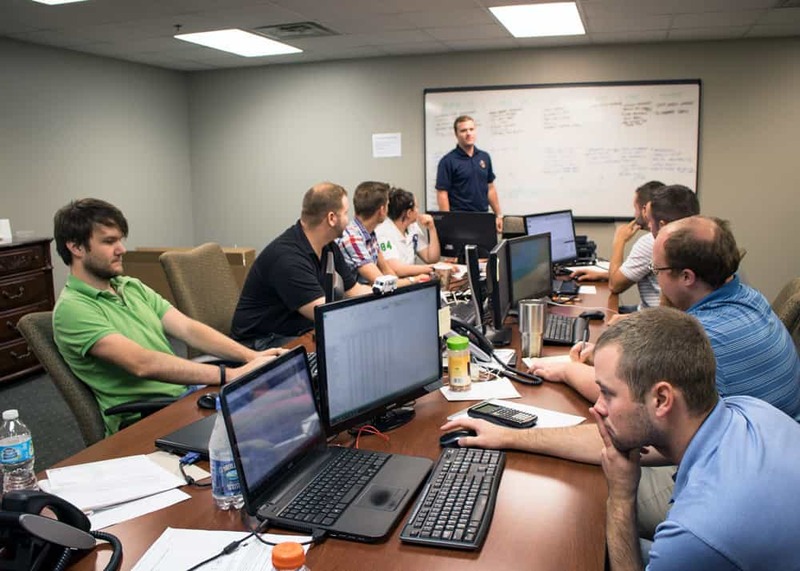 What was the most difficult aspect of transitioning from the armed services to starting and running your own company? The most difficult transition for me was the move from the military to corporate America. I missed my Marines and in a strange way I missed the stress and chaos. The transition to being a entrepreneur and business owner was much easier. Now I have my team of 80 and growing, who I care deeply for, and the stresses and chaos of owning and building a business is as close as I’ll get to the military days. 6. Since launching you’ve mostly focused on bedding and sleep accessories, what made you decide to make the leap and create your own mattress? We liked the space because we felt like it was an industry that had not been ‘disrupted’ yet. About the same time several of the larger players, with lots of investments also realized this. Eventually e-commerce will change just about every business model. We think it is the mattress industry’s turn. The traditional mattress manufactures businesses grew very quick in the last few decades. Often by merger and acquisition. This is expensive and many of them carry a lot of debt as a result. That debt is paid for by increasing the price of their products. Plus, they have national, regional, local distributors that need a cut. That’s before the product shows up in a brick and mortar storeroom on Main Street marketed up at least another 100%. We’re not the only ones that think going straight to the customer makes it possible to offer the same, if not better, quality at a fraction of the cost. Not to mention, going to a show room and lying all over dozens of mattresses while a sales person tries to justify a $1,500 mattress is less than pleasant. 7. When you set out to create your own mattress what was your goal for the mattress? Did you have a particular feel or ideal sleeper you think the eLuxurySupply mattress is best for? We wanted to error on the firm side because we have products that will make them softer. Not much can be done to make a soft mattress firm. We manufacture some of the highest rated mattress pads on the market. They are a favorite for hundreds of our hospitality clients like Marriott, Renessaince, Courtyard, Omni, Waldorf, Davenport, etc. We also carry a wide arrangement of pillow products. Fiber fill, down, feather, latex, and memory foam. The average American is about 69 inches tall. The average length from head to base of neck is around 20 inches. That is nearly a third of the body supported by the pillow. This is almost exclusively ignored by the majority of mattress retailers. 8. Do you have any exciting new products or updates coming to eLuxurySupply.com soon? Yes. In the next week we will launch a platform bed as a result of the demand from customers after building a prototype for our mattress pictures and video. It is made of North American Pine and other hardwoods, 100% made in America, and can be put together in less than 5 minutes without any tools. Our customers asked for it and we think they are going to really like what we have come up with. We also recently launched a line of organic soaps and candles as we continue our expansion into more things Bed, Bath, and Home. Next we are looking to bring e-commerce to the furniture shopping experience. 9. If you could give my readers advice about shopping for mattresses, what would it be? A few things I guess. One, if you are not used to sleeping on memory foam it may take a while to get used to. Try and give it a few weeks, and almost with out fail, you’ll convert into a new fan. Two, every product will obviously not be perfect for everyone. As a result, you may find a product that ‘just isn’t it’. Try to work with a company who is going to understand this, not take it personal, and make it right by you. Third, like with wine…with mattresses, if you are spending above a certain price point you’re probably over paying for marketing. With very few exceptions, you shouldn’t ever need to spend more than $750-1000 for a good quality mattress. Lastly, whether you end up buying from eLuxurySupply or not, please always feel free to contact us directly if we can ever help you, your friends, or your family. Cheers! A huge thank you to Paul Saunders for taking time to sit down for this interview. For more on the eLuxurySupply mattress visit eLuxurysupply.com. Celliant: What is Celliant Fiber?